Veteran playmaker Narito Namizato is returning to the Ryukyu Golden Kings after plying his craft the past three seasons in Kansai. On Monday, the Golden Kings announced that the Okinawa native will play for them in the upcoming season. Namizato, still in his prime at age 28, is one of the B. League’s premier passers (his 7.2 assists per game in 2017-18 ranked second in the league). 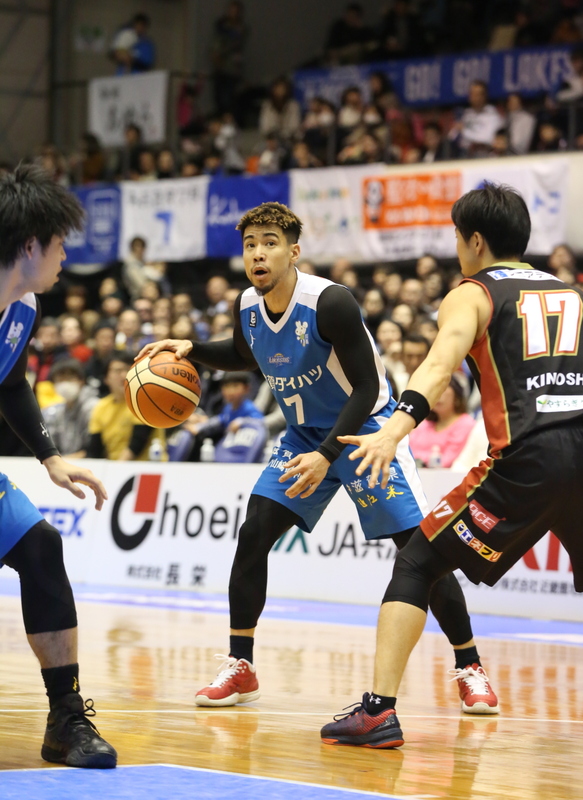 He also contributed 12.2 points, 3.2 rebounds and 1.5 steals in 59 games for the Shiga Lakestars last season. The 172-cm point guard suited up for the Golden Kings from 2011-15 after beginning his pro career with the Tochigi Brex in the JBL in 2009. He spent the 2015-16 season with the Osaka Evessa, then competed for the Lakestars for a pair of seasons. 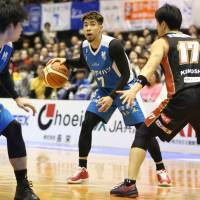 Last week, Ryukyu added steady point guard Ryoma Hashimoto, formerly with the SeaHorses Mikawa, to their roster. The Kings also bolstered their frontcourt with the addition of gritty, well-traveled forward Hayato Kantake, who played for the Evessa in 2017-18. Under first-year bench boss Norio Sassa, the Kings, who captured a bj-league record four championships, claimed the West Division crown last season with a 42-18 record. As Ryukyu looks to add to his trophy collection, Namizato, brings valuable title-game experience back to the club. He’s always displayed a true confidence in his ability to make a big impact on a game and make clutch plays at crucial moments. In a November 2011 interview with The Japan Times, team leader Jeff Newton expressed the view that the team’s veterans had confidence in Namizato, then only 22 years old. And Namizato helped the Kings win the 2011-12 title. After two seasons as an Osaka assistant coach, Kensuke Hosaka is getting his shot at leading the team. The 33-year-old was named the Evessa’s new head coach on Monday. Joining the team’s revamped coaching staff is Shinji Tomiyama, who worked as an assistant for the title-winning Alvark Tokyo last season. Tomiyama’s new title: associate head coach. Hosaka was an Iwate Big Bulls assistant from 2011-16 before moving to the Evessa in 2016. Former Osaka head coach Dai Oketani moved on to lead a rebuilding effort in Tohoku, taking over as new sideline supervisor for the second-division Sendai 89ers. Tomiyama began his pro coaching career in 2009 as an assistant under Motofumi Aoki on the now-defunct Tokyo Apache. He is a former Iwate and Chiba Jets head coach. He’s also served as an assistant for the Kumamoto Volters. In an interview earlier this month with The Sporting News, Gonzaga forward and Japan national team player Rui Hachimura, who is projected as a future NBA draft pick, discussed a wide range of topics, including his relationship with players from his schoolboy days. “Who are you close with?” he was asked, referring to current national team players.